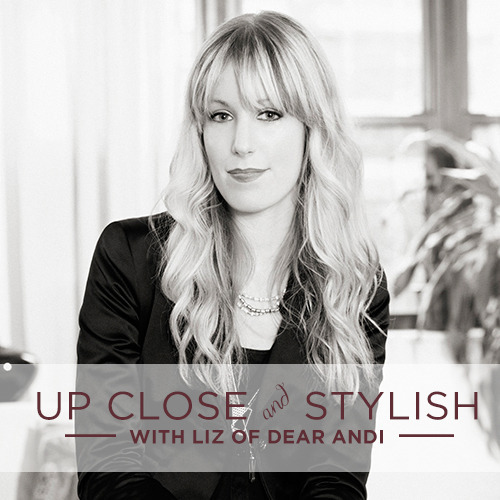 Whether she’s outfitting Mike Tyson or listing from her droolworthy professional styling closet, Liz of Dear Andi definitely knows how to mix business with a passion for fashion. In today’s “Up Closet and Stylish,” this New York stylist and power Posher will share her awe for Joan Rivers, why she loves Poshmark and so much more! If you’re loving Liz’s style, don’t miss out on her host picks at our Total Trendsetter Posh Party tonight. Until then, browse and shop her closet for a little trend-filled peek! 1. What are your must-have items in your closet? 2. If you could splurge on 3 pieces, what would they be and why? A great handbag because that’s basically my office and the first thing clients notice when I meet them, boots because they will last for years if taken care of and fabulous heels that make a statement even when wearing inexpensive pieces. 3. How has Poshmark helped with your styling business? I have way too much in my closet and my styling kit – from things that can’t be returned from shoots to items gifted from events – so Poshmark has helped me make room by allowing me to sell items that have only been used once or not at all. 4. Who is your favorite person you have ever styled? That’s a tough one. I had so much fun styling bloggers like Helena of Brooklyn Blonde and Jordan of Ramshackle Glam for TJMaxx because I had the challenge of staying within their distinct personal styles and covering the trends for the brand. Mike Tyson was another favorite because he liked how I styled him so much that he left with the outfit! 5. If you could have lunch with one celebrity, who would it be any why? Joan Rivers. I met her recently at an event and was speechless. I don’t usually get starstruck. Being a Gemini, I’m usually a talker, but I could barely get a sentence out. She’s had quite a life and has done it all. We even have similar backgrounds, growing up as Jewish girls from NY, working in advertising and fashion. I’d love to pick her brain and see how she’s still doing it all while looking great at her age. 6. What is your fashion rule of thumb when it comes to trends? Don’t be a slave to them and always make them your own. 7. How long have you been a stylist? What’s your favorite part about it? I started out as an art director working on ads you may have seen in magazines and on cabs, but my favorite part of the job was coming up with the look that told a story and briefing the stylist for the photoshoot. It was a natural transition, and about seven years later I love that every day I’m doing what I love! 8. Do your Poshmark listings come from your personal closet or styling sessions? Both. Between my lifestyle and advice blog, Dear Andi, and working in fashion, I need to constantly keep my wardrobe fresh. I also have way too much in my styling closet (yes, I have a separate closet just for that). 9. How do you describe your personal style? I guess living in Brooklyn influences me a great deal, so I’m definitely downtown, laid back and a bit of 70’s bohemian. Everything I wear always has to have some sort of an edge to it – whether it’s through a black leather detail or chunky jewelry. 10. What is your go-to outfit for the fast approaching holidays? Lots of black with a little sparkle. Lately I’ve been throwing on a sparkly vintage Givenchy sweater over a simple outfit for holiday parties because it’s easy and always a big hit.